With his theater background, it’s a natural fit for Tristan Braboy to take on the dramatic role of Drosselmeyer in Next Generation Ballet’s upcoming production of The Nutcracker, the Great Imperial Ballet. 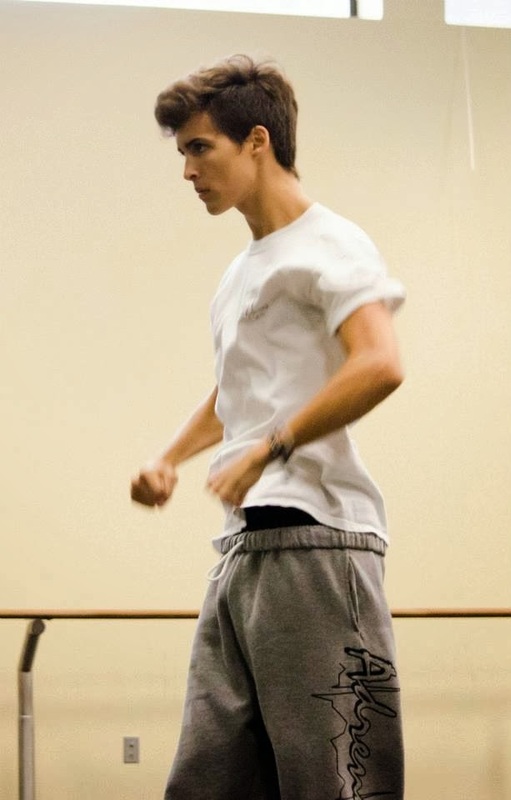 When Tristan’s longtime dance studio closed, his parents sought out a new place for him to train. The 18-year-old from St. Petersburg joined Next Generation Ballet at the Patel Conservatory in his sophomore year of high school. Now, in his third year at the Conservatory, he was thrilled to be cast as the eccentric uncle who gives Clara the famed Nutcracker doll. “I’m honored to be playing this role,” said Tristan, who played the Prince in his first year at the Conservatory. A senior at the Pinellas County Center for the Arts at Gibbs High School, Tristan has also focused on drama since he was in elementary school, as well as his dance training. This summer, he was a mentor in the Broadway Theatre Project at the University of South Florida, where he was encouraged by one of the instructors to audition for Pointe Park University’s Conservatory of Performing Arts in Pittsburgh. While it’s not official yet, he’s looking at a promising scholarship offer. He was recently named one of Creative Loafing’s annual 25 and Under, which features the Tampa Bay area’s most promising up and coming artists under the age of 25, and he was the host of the Conservatory’s 2013 Spotlight Awards. He’s excited about being a part of The Nutcracker. “I think audiences will be very impressed. The quality that goes into this show is unreal. You can see Tristan, and many more stars of tomorrow including Hannah Stanford, also named one of Creative Loafing’s 25 and Under, in Next Generation Ballet’s The Nutcracker, the Great Imperial Ballet. The Nutcracker plays Dec. 7 and 8, 2013 in Carol Morsani Hall at the Straz Center. For tickets, click here.